How to watch Yakari: Season 5 (2005) on Netflix Germany! Yes, Yakari: Season 5 is now available on German Netflix. It arrived for online streaming on April 15, 2019. We'll keep checking Netflix Germany for Yakari: Season 5, and this page will be updated with any changes. Season 1 of Yakari has 26 episodes. Because different Netflix countries have different availability for episodes, you'll need to check the episode listing below to see which are available in Germany. 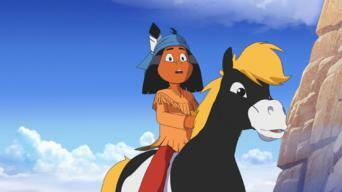 Yakari goes looking for the wild pony that all the tribesmen want to catch. 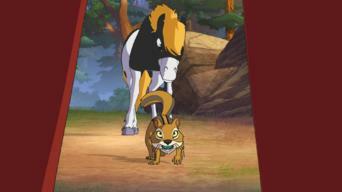 / An angry female puma thwarts Yakari's plans to ride Little Thunder. Little Thunder runs off and vows never to return when Yakari asks him to run one race too many. / Yakari mediates between a hunter and a wolf pack. 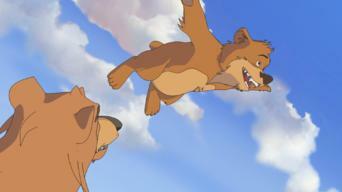 Yakari diverts a wolf pack to save a pregnant buffalo. / Yakari coaxes the forest animals to welcome a lost pelican and help him on his way. Yakari has to save Slow Strider when a manipulative crow takes over his mind. / Yakari must confront one of the few animals he can't reason with. 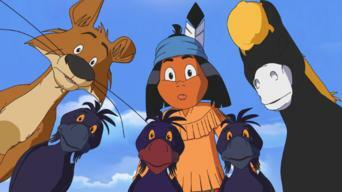 When Wise One disappears in a tornado, Yakari and his father set out to look for him. / Yakari loses his memory after falling into the river. 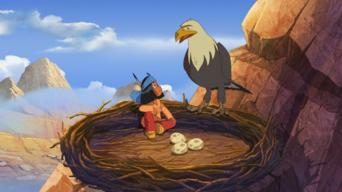 Yakari fears his totem is to blame when an eagle injures one of the tribe's hunters and steals his talisman. / Yakari helps a trapped beluga whale. Yakari must drain the lake to save little Linden. / When a rascally squirrel promises to teach a wolverine to fly, it spells trouble for Yakari. Troublemaking little beaver Linden and Yakari find themselves trapped in an underground cave. / Yakari teaches a ferocious grizzly bear a lesson. To defend two moose, Yakari and Rainbow must find the courage to take on an aggressive predator. 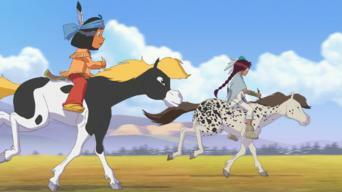 / Yakari and Little Thunder track horse thieves. A clever coyote helps Yakari save Buffalo Seed, who's trapped in a cave and being watched by a cougar. / Yakari rescues a bear cub stuck in a burrow. Yakari starts an avalanche to move a boulder that's diverting water from the river. / Yakari teaches a lost little coyote the basics of survival. To satisfy Yakari's curiosity, Great Eagle puts him into a strange sleep that takes him to prehistoric times. / Little Thunder befriends a gray horse. 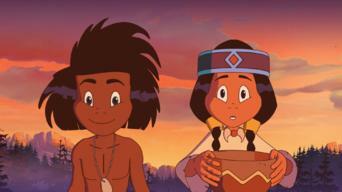 When he can't find Little Thunder as the tribe prepares to migrate, Yakari gets help from a snake with a secret. / Yakari aids a rare white bear. Rainbow masquerades as a boy to prove she's as good at fishing as her male friends. / Restful Rock and Buffalo Seed open Yakari's mind to the trees. 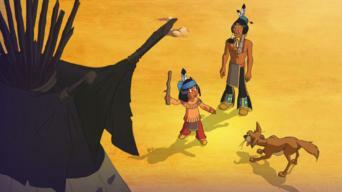 Disaster hits after Buffalo Seed leads his friends into a desert that brings bad luck. / Yakari investigates when Wise One's medicine bag is stolen. Yakari tries to stop Buffalo Seed from helping Quick Bow kill a great white wolf. / Yakari teaches a mute hunter the sign language of prairie tribes. Yakari and Rainbow decide to get a present for Straight Gaze. / Yakari attempts to return a lost medicine bag to its rightful owner. Yakari learns that Little Thunder has a secret wild friend who's terrified of people. / Yakari tries to decipher the pictograms in Wise One's tepee. During a fishing competition, Yakari gets mad at Buffalo Seed. 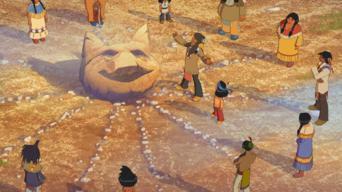 / Yakari must find Restful Rock's flute after the tribe's waggish old dog buries it. 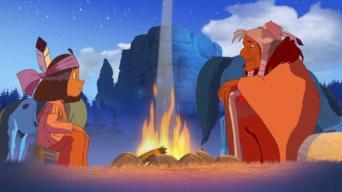 Yakari and Buffalo Seed are in charge of finding a new spot for the tribe to set up camp for the winter. / Yakari has trouble keeping his promises. Yakari's bear cub friend Honeycomb comes to him for help. / Yakari and Rainbow run into a pack of trouble while they're out collecting firewood. 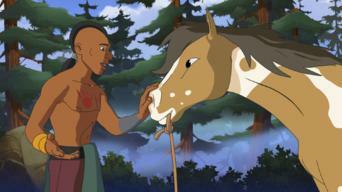 Restful Rock is challenged to a competition when his comment insults a proud Sioux. / Yakari must find a special plant to cure ailing Speedy Turtle. 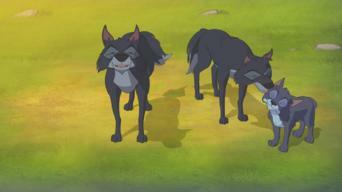 Yakari helps a wolf gain the strength and confidence he needs to rejoin his pack. / Quick Bow tries to exploit Yakari's special talent to communicate. Yakari is shocked when he tails the listless Eyes-Always-Shut on his nightly excursions. / Yakari follows a pair of bright yellow eyes to a dark cave. 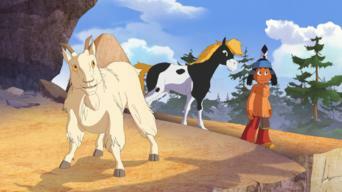 Yakari and Little Thunder help an old buffalo catch up to his herd. / In the grip of a fever, Yakari relives a fable about the creation of the Sioux. When Long Bow returns, he and Yakari set out to find a gigantic mustang for the gentle giant. / Yakari helps a friend pass the trial of the red arrow. Season 4 of Yakari has 13 episodes. Because different Netflix countries have different availability for episodes, you'll need to check the episode listing below to see which are available in Germany. Season 5 of Yakari has 13 episodes. Because different Netflix countries have different availability for episodes, you'll need to check the episode listing below to see which are available in Germany.